Over the years we have designed and built several custom trailers in addition to our core plant trailers. 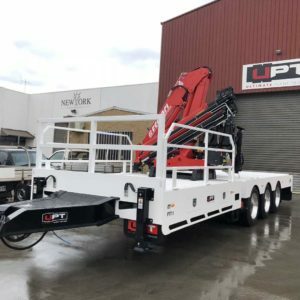 From 4.5T heavy duty Bobcat trailers to the incredible Swan Neck Trailer only a handful exist in Australia. Can’t find what you’re looking for? We welcome a challenge!